With all the confusion about the Non Surgical Spinal Decompression out there I wanted to give an honest answer to both patients considering this treatment and practioners considering investing money into this new technology. 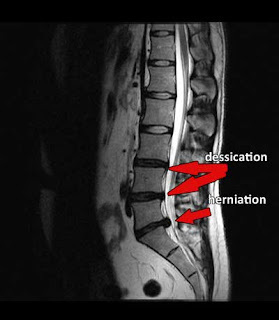 Does Spinal Decompression work? Yes! it does help patient suffering with herniated discs and sciatica and stenosis. Is it a miracle like some of these advertisements I see in newspapers? This is a treatment is just that a treatment not a panacea. I have doctors calling me ready to take a mortgage on their house to by a DRX 9000 and hoping it will solve all their finiancial problems and cure all the patients with herniated discs. This table and many others like it do have a high success rate(86% to be exact) but they dont work on all patients. Also be sure that the doctor is not just starting you to meet the expensive lease payment on the table make sure you are a candiadate.